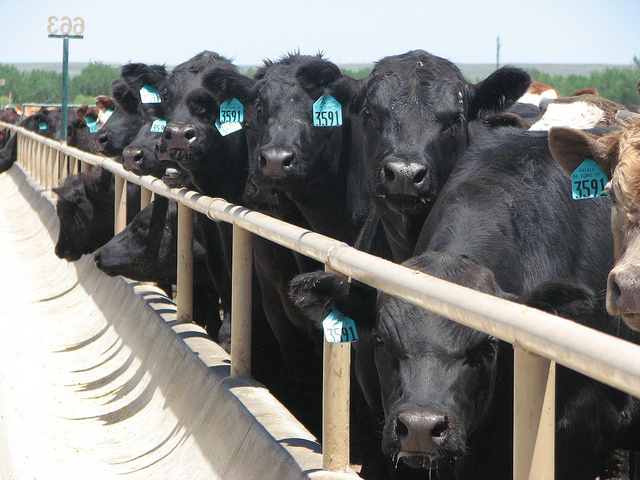 The March US Department of Agriculture Cattle on Feed Numbers came in higher than a year ago- and according to Tom Leffler with Leffler Commodities, the numbers "came in a little larger than expected- that's the real negative part of this report." According to USDA, Cattle and calves on feed for the slaughter market in the United States for feedlots with capacity of 1,000 or more head totaled 10.8 million head on March 1, 2016. The inventory was one percent above March 1, 2015. Leffler says that this is the largest March first on feed number of the last three years and the largest on feed number thus far this calendar year. Placements in feedlots during February totaled 1.71 million head, 10 percent above 2015. Net placements were 1.65 million head. During February, placements of cattle and calves weighing less than 600 pounds were 335,000 head, 600-699 pounds were 300,000 head, 700-799 pounds were 445,000 head, and 800 pounds and greater were 630,000 head. Pre report guesses were 8.5% above a year ago, so the placements at ten percent higher than March first of 2015 is somewhat bearish. It's worth noting that we have seldom seen placements larger than a year ago- as this is only the fourth time in the past two years we have had placements above the placement figures of a year ago. One of the reasons that Placements ended up above a year ago- Texas placements spiked twenty one percent above that of a year ago. Marketings of fed cattle during February totaled 1.59 million head, 5 percent above 2015- the marketings were close to what traders were expecting. After the report was released, Radio Oklahoma Network Farm Director Ron Hays talked with Leffler about the Cattle on Feed Report- and his comments are featured in this edition of the Beef Buzz. Click here for the complete report from USDA that was released at 2:00 PM central time on Friday, March 18.